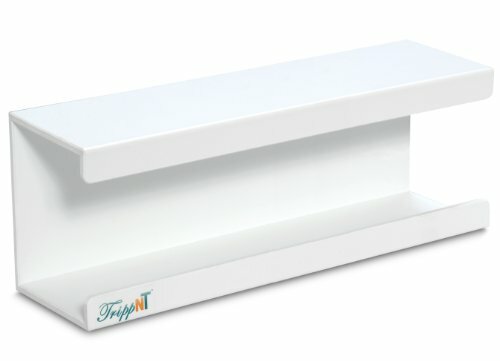 Trippnt's large kimwipe holder is designed for one box of wipers to protect, store, and keep lab wiper boxes clean. Holder loads from the side and tension holds box in place. Installs instantly and can be mounted with double faced mounting tape. Made from white pvc plastic. 15 X 5 x 3.5 inches (width height depth);.1.20 pounds.